Jethro Tull was a band of superb musicians who played music that was decidedly more work than pleasure to bear with. 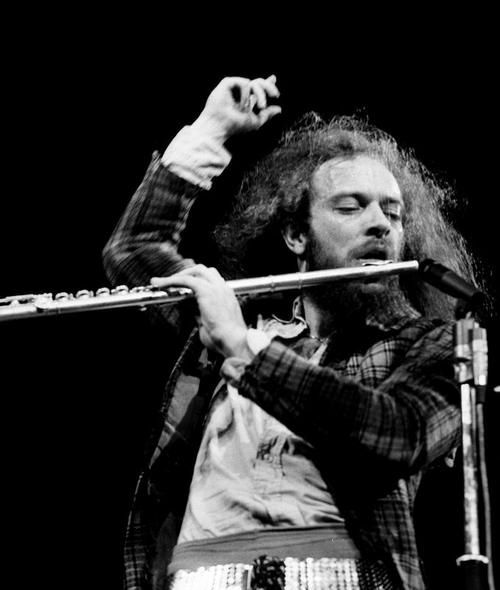 There's no denying that leader and chief composer Ian Anderson could cook up artful and impressive ensemble pyrotechnics for this or any number of the other versions of Jethro Tull to blaze through, but the leader's ideas were limited and one-note throughout the band's peak and into their decline. English folk traditions wedded with baroque fussiness, wheezy flute solos over craggy hard rock interludes, much of it seasoned with the admittedly agreeable sweet and sour fills and riffing from longtime guitarist Martin Barre. Skill and discipline aside, though, the plentiful progressive/art rock elements of JT's music was directionless, a trait that worsened as soon as Anderson responded to the grandiosity of Yes and Emerson Lake and Palmer by going for the long format of single-song projects such as Thick as a Brick and Passion Play. I rather like the Martin Barre - composed introduction to "Minstrel in the Gallery", a tour de force of quirky transitions and sculpted dissonance that rises to actual art. Compression and brevity are the keys to those instances when JT catches my attention, but as often as not Anderson refuses to move from his signature amalgam of styles he likes and provides then is needed, or even effective, in the then-mistaken belief that length of composition and promiscuously convolutions of theme equals serious art. I was always one who preferred their progressive rock not to drag along the road. Lyrically, principle songwriter Ian Anderson is not so stunning; he had an effective light touch with imagery in the early work like "Living in the Past" or the particularly riveting tune "Nothing to Say"; 'though perhaps guised in a fictional persona, Anderson, all the same, connects with a convincing humanity as matters of being alive without certainty are sussed through impressionistically and, yes, concisely, closer to true poetry . The man had a knack, in the day, of getting to the point and getting you to think about things other than material gain. That wordsmithing, I think, has been far less in evidence since their career took off, from 'Aqualung" onward.